This article first appeared in Forbes, in partnership with Ashoka. Read the original there. Today’s American families need more caregiving support than ever before – yet caregiving work is not visible, not valued, and not supported well enough to meet the soaring demand. Social entrepreneurs Ai-jen Poo, who leads National Domestic Workers Alliance and Caring Across Generations, and Jessica Sager, co-founder of All Our Kin, are working to radically reframe this issue and chart a new and sustainable course. Ashoka’s Brittany Koteles caught up with them to learn more. Brittany Koteles: Tell us a little bit about the landscape of caregiving in the United States. Ai-jen Poo: We’re experiencing a major generational shift in the United States, with 10,000 boomers turning 65 every day, and millennials having 4 million babies per year. We need more child care and elder care than ever before, but we have less of it. It’s creating a lot of pressure on the “sandwich generation” that is squeezed between the pressures of childcare and elder care. At Caring Across Generations, we’re investing in the ability of families to afford the care they need. Jessica Sager: At All Our Kin, we focus on the youngest children and their caregivers. Parents with very young children and barriers to access (financial, nontraditional hours, transportation issues) place their infants and toddlers in home-based childcare businesses run by women in their neighborhoods. These women – primarily low-income women of color – are doing some of the most important work there is: caring for and educating our youngest children. What we have seen historically is bias and stereotypes about our caregivers, what they offer, and what they are capable of. I’m interested in exploring how we position caregiving differently, but equally, how we position the conversation about caregivers differently. BK: What are those biases? 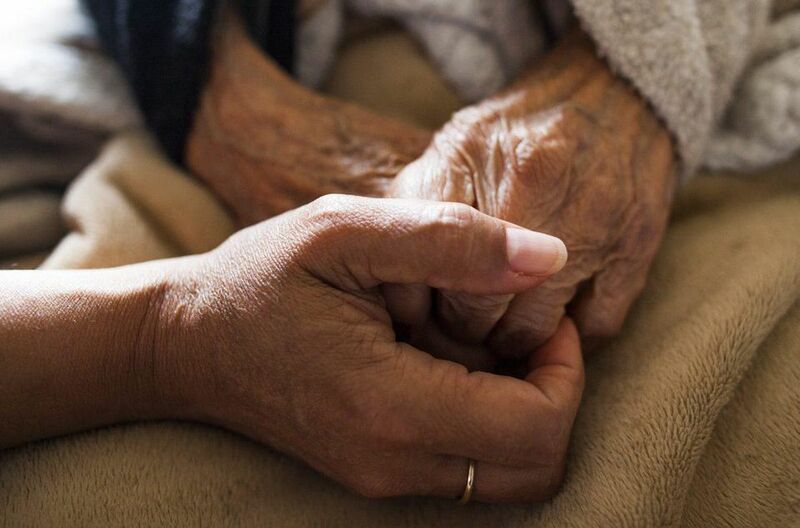 AP: For generations, our default caregiving infrastructure was essentially women staying home, so our history takes for granted that women will do this work. We haven’t shifted to really recognize it as real work and value it as such. We’re working to create a cultural shift in what we value as a society so that caregivers become visible and can sustain themselves financially. BK: What kind of value do caregivers create? JS: Our data shows that every $1 we invest in family childcare yields $15-$20 in economic returns for the community. Despite this, caregivers still lack basic supports like stable pay, benefits, professional development, and the kind of societal support that allows them to thrive as entrepreneurs running home-based businesses. AP: Exactly. The first thing many people say about caregiving policy is that it’s “very expensive” or that there’s “not enough money.” We have to elevate caregiving beyond the austerity conversation. As long as we continue to see caregiving as a personal responsibility that we have to sort out in our private realms, bold public policy will be challenging. We have to take the personal conversation into the public arena. The question of value becomes a question of cultural priorities. BK: Ai-jen, you’ve brought in some unlikely allies to change the cultural narrative. AP: Yes! We’re trying to shift the deep norms that shape what we value in everyday life, and you really can’t value what you don’t see. So we’ve partnered with the entertainment industry for years to showcase stories of caregiving. We offer stories of real life caregivers and consult with screenwriters of mainstream films and TV shows to make visible and better reflect Americans’ experiences with caregiving. BK: Looking ahead, what most excites you? JS: Taking down the artificial barrier between care and learning. All the research shows that age 0-3 is critical for learning. I want people to see family childcare providers as a foundational piece of K-12 preparation. AP: Universal Family Care is our companion to “big ideas” like Universal Basic Income. In the future, we should all have access to the support structures and systems that allow for us to take care of our families while we work. BK: What practical steps can we take now? JS: If you own a business or manage a team, start thinking about how you can support your employees as they care for their families while leading productive work lives. Flexible schedules are a great first step. AP: Ask local candidates, “where does care fit into your agenda?” The Caring Across Generations Action Fund is building a “Caring Majority” movement that helps people across party lines champion a new framework for care policy. We have care candidates in 100 state legislative districts in 2018, and another 7 or 8 candidates for governor who have reached out and asked how to incorporate a care agenda into their economic plan. Let’s get them elected and help them succeed. This conversation is condensed from an Ashoka series on insights, trends and innovators in the U.S. and worldwide. Check out the full conversation here.